Gumball 3000 2013- 6700km in 10 days! – Jon Olsson - Official homepage and blog. Gumball Arrives in Monaco! The end of the 2013 rally - YouTube. Gumball 3000 2013: Seriously loud supercharged Corvette - YouTube. Thanks to Gumball3000 itself; a really nice compilation of what's happening! Gumball 3000 2013 Team Galag St Petersburg to Riga - YouTube. A really nice compilation of the start to copenhagen & stockholm. Have fun! [HD] Gumball3000 - 2013 START - CPH to STO - [Fekzen.se] - YouTube. 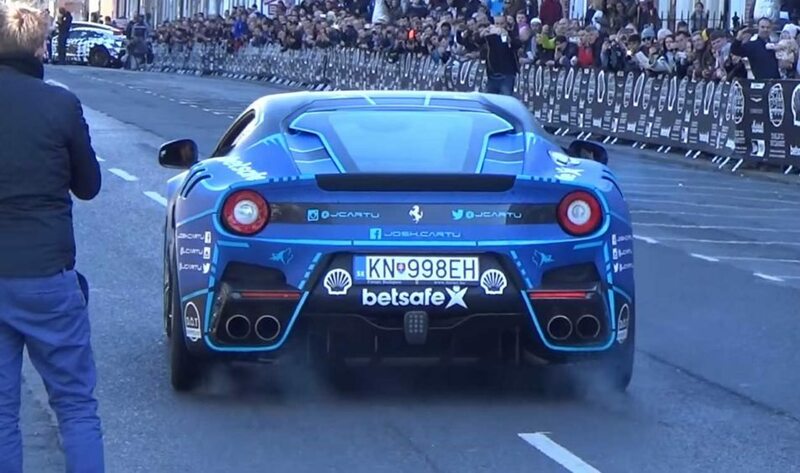 #2 BEST MOMENTS: Gumball 3000 2013 Start! INSANE – Revs and Accelerations! thanks xraque for also this second part of the compilation! #2 BEST MOMENTS: Gumball 3000 2013 Start! INSANE - Revs and Accelerations! - YouTube.